I’ve lived in Maidenhead for a long time but never taken any notice of the yellow signs you see around this time of year saying ‘Bucks open studios‘. This year a friend asked if I’d like to go and visit some of the homes and studios of local artists. I’m so glad I did! You just don’t know what’s on your doorstep. Firstly, lots of very talented people and beautiful art, and secondly any excuse to explore and see some amazing, very English houses, gardens and countryside. It’s also an opportunity, if you’re lucky enough, to meet the artists themselves and see where and how they work. And so followed a lot of driving around Buckinghamshire, as far as Wendover (with a few wrong turns along the way, and lots of chatting (which probably contributed to the wrong turns!) Here are just a few of the artists whose work caught my eye. 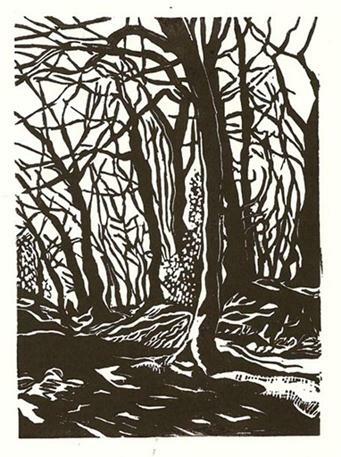 Susan Anderson at The Orchards Studio Group in Great Missenden – I really like the simplicity of her black and white prints. 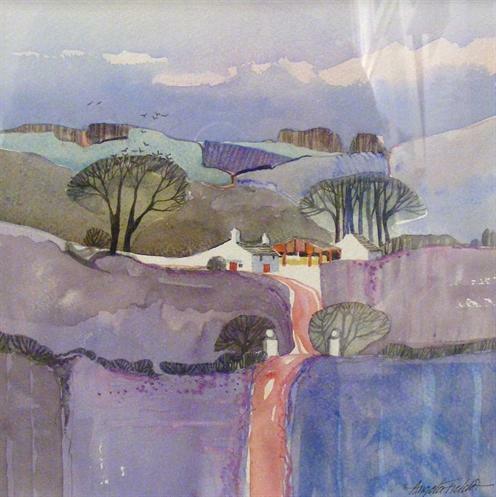 Angela Fielder at Bledlow Ridge – truly amazing watercolour paintings, I was so inspired. I’ve always thought I didn’t like watercolour very much but just flicking through her small sketch books was such a treat. I’m going to have a go myself soon, but have to remember as she said, it takes years of practice to get as good as this! 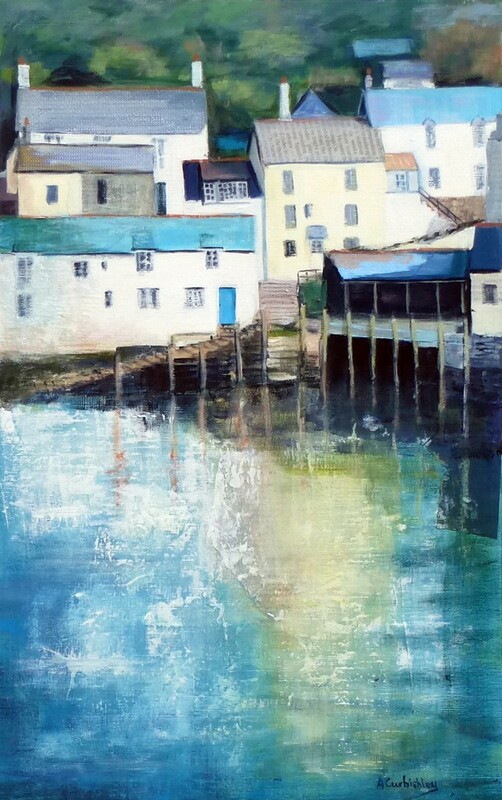 Amanda Curbishley at the Chilterns MS Centre – I loved her painting of seaside villages in Cornwall, the effects on the water are stunning. And finally, just a couple of miles from my house, Juliette Palmer RBA in Cookham. Wow, what a prolific artist! Worth the visit to see inside her house which is filled to the brim with paintings and sketches from when she worked as an art teacher in the 1950’s and then as a children’s book illustrator in the sixties and seventies. My favourite pieces though were her simple ink sketches. 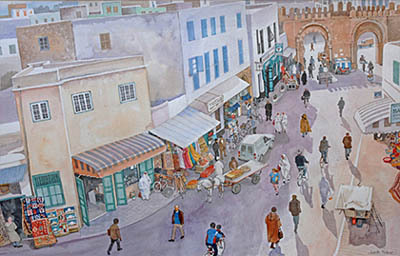 Unfortunately I can’t find any images of them on-line so here’s one of her paintings depicting a street in Tunisia.